Available for purchase in store, not currently available for purchase online. 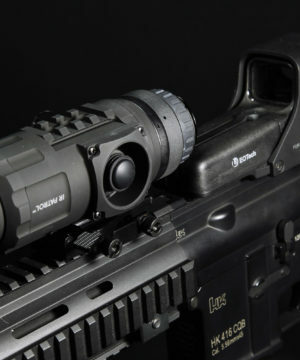 The IR Patrol Series thermal monoculars from IR Defense Corporation, is designed for military applications and performance at a consumer price. Utilizing MILSPEC BAE Systems 12 Micron Thermal Cores and eMagin OLED 10,000:1 Contrast VGA Displays, IR Patrol Monoculars feature some of the most advanced performance on the market today. 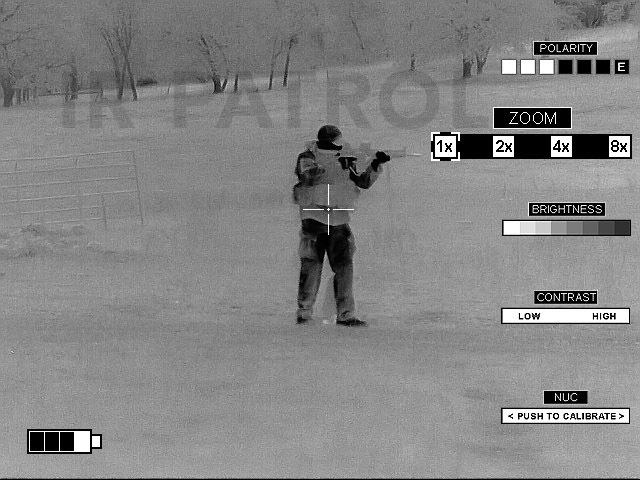 Compact, Lightweight, and Rugged, IR Patrol Thermal Monoculars are ready for any mission from the battlefield to the hunting field. 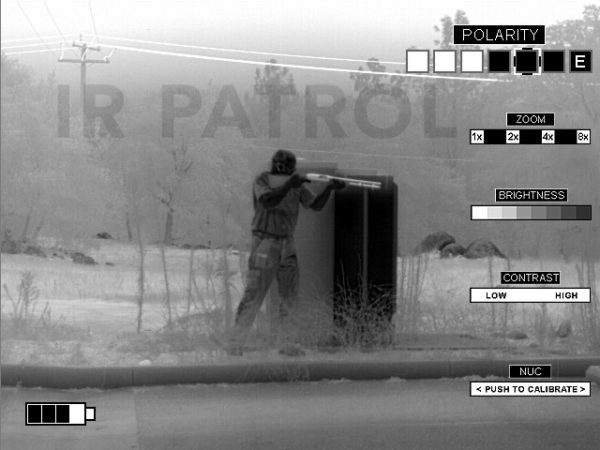 The versatile M300W is the top-of-line unit in the IR Patrol Series. Its small size and light weight make for a handy thermal weapon platform. 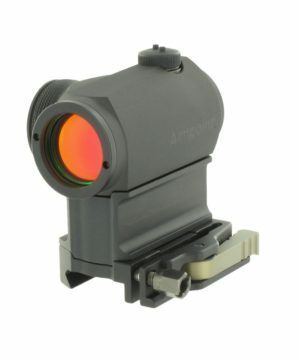 The crosshair reticle works can be used as ranging tool as it is roughly the height of a grown man at 100 yards. 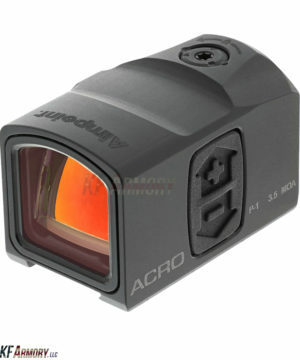 In clip-on mode, it can be used with low power optics and red dot sights. 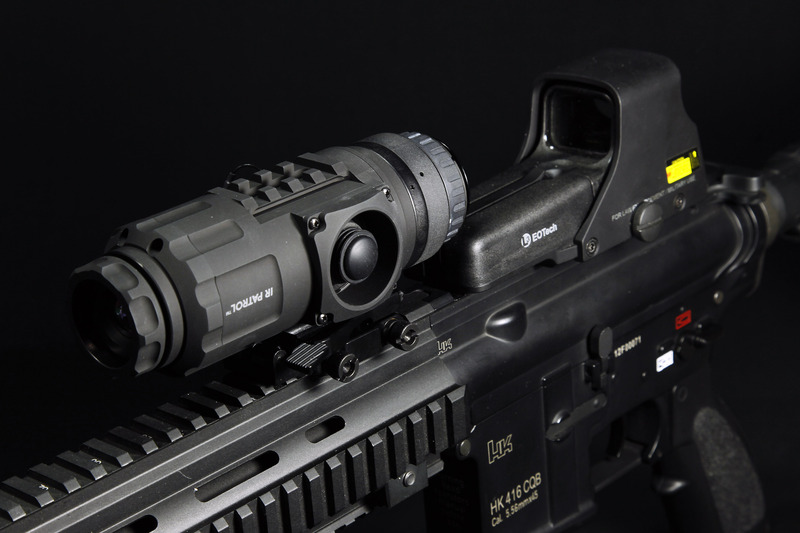 The M300W is designed to attach to weapons via the Wilcox Flip Mount Base. 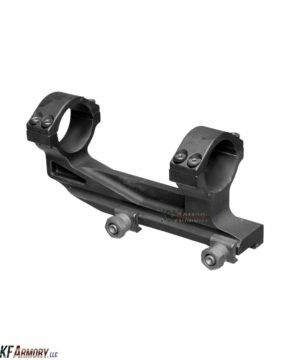 The Flip Mount Base is a precision-engineered and crafted part that tightly secures the scope inline with the bore, but can allow it to be flipped to the side using a force-to-overcome mechanism. This quick flip feature is ideal for clip-on capabilities. 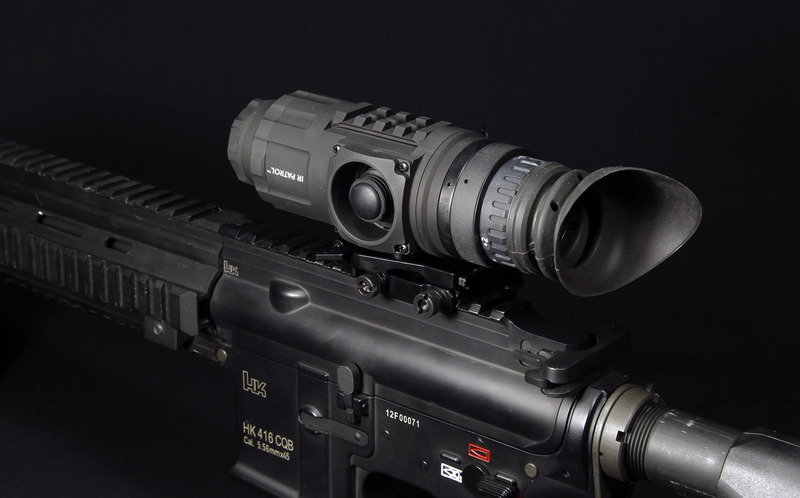 The shooter can use the IR Patrol M300W in front of an existing weapon optic. But, when faced with a target behind glass (through which thermal imagers cannot see), the shooter can quickly flip the M300W to the side and engage the target with the standard optic. This saves time because the M300W does not need to be removed when faced with various environmental factors. 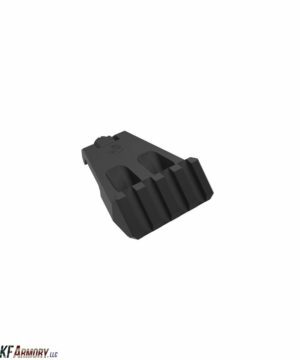 Please note: The standard M300W comes with a dovetail shoe that is ready to clip into the Wilcox Flip Base. It requires the Wilcox Flip Base to attach to a weapon (available in the Tactical Kit). Without the Flip Base, it is a handheld monocular. The M300W is rated for .308 (7.62x51mm) weapon platforms. Dimensions: 5.95”(L) x 2.2”(W) x 2.95”(H)Weight:1.0 lbs. Export of Thermal Imaging Equipment or related accessories (such as manuals) is strictly regulated by the US Department of State in accordance with the guidelines of the International Traffic in Arms Regulations (ITAR). It is a major crime to ship or carry US manufactured thermal imaging devices outside the borders of the United States, punishable by fines and prison sentences. Ignorance of these regulations will not hold up in court. By purchasing thermal imaging equipment from KF Armory, you attest that you will not attempt to export or carry this thermal imaging equipment outside the borders of the United States. Also, it illegal to allow a non-US Citizen to look through US Thermal Imaging Equipment, even on US soil. Again, this is a crime punishable by fines and prison sentences.